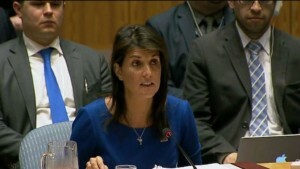 New York, NY, (Financial Times)–We may now have an idea on what former Governor Nikki Haley’s next career move may be. According to the Financial Times, Haley and Ivanka Trump are candidates to replace the outgoing president of the World Bank. The bank’s current president, Jim Yong Kim, announced his resignation last week, more than three years before his term was supposed to end. The World Bank board said last week it would start accepting nominations for a new leader early next month and name a replacement by mid-April.